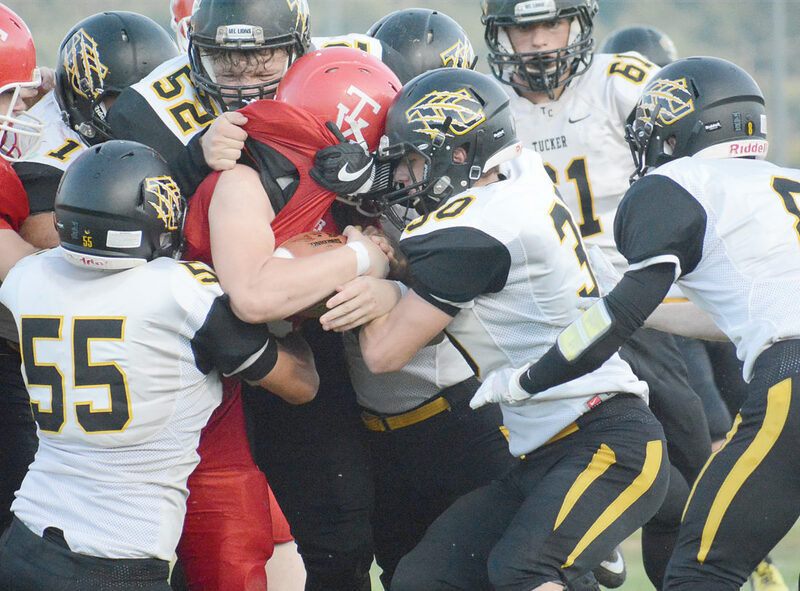 PARSONS — Tucker County returns to the postseason for the first time since 2013 today when the Mountain Lions travel to Hico to battle undefeated Midland Trail in Class A first-round action. Game time is scheduled for 7:30 p.m. at Roger Eades Field at Patriot Stadium. This will be the eighth playoff appearance for Tucker County under head coach A.J. Rapp, including a berth in the state semifinals in 2012. The 15th-seed Mountain Lions (6-4) are led by a strong senior class. The running game looks to senior fullback Cole Rapp and junior Hunter Collar, while junior quarterback Liam Hood and a talented group of senior receivers in Ben Callaway, Ben Cromer and Jeffrey Snyder guide the passing game. Senior quarterback Kole Puffenberger and Pendleton County will host a playoff game for the first time in school history tonight when Magnolia visits Franklin in Class A action. Seniors Owen Poling, Seth Cangley and Mark Barnes, junior Raine McCauley and sophomore Bode Shockley are names to watch along the offensive front. Defensively, Rapp leads the squad from his linebacker spot, along with Shockley, senior Byron Gidley and Callaway in the secondary. The Mountain Lions got off to a 6-1 start before dropping three straight to end the regular season. The second-rated Patriots (10-0) of head coach Frank Isaacs feature a stingy defense and balanced offensive attack. Submitted photo Tucker County returns to the state playoffs for the first time since 2013 when the 15th-rated Mountain Lions visit No. 2 Midland Trail tonight in Class A first-round action. Trail looks to senior quarterback Austin Isaacs, the son of the coach, to guide attack. The younger Isaacs has thrown for nearly 1,000 yards and rushed for over 1,000 yards. Senior Morgan Ferris is coming off a 137-yard, two TD effort in the Patriots’ 25-0 win over Roane County in last week’s regular-season finale. Seniors Nathan Hanshew and Cordell Lesher, along with junior Colton Yoder are other offensive threats. The Patriot defense, meanwhile, is yielding just 9.6 points per game. Today’s victor will face either No. 7 Sherman or No. 10 Parkersburg Catholic in the quarterfinals. In today’s other Class A first-round contests, No. 8 Pendleton County hosts No. 9 Magnolia, No. 4 Doddridge County entertains No. 13 Webster County, No. 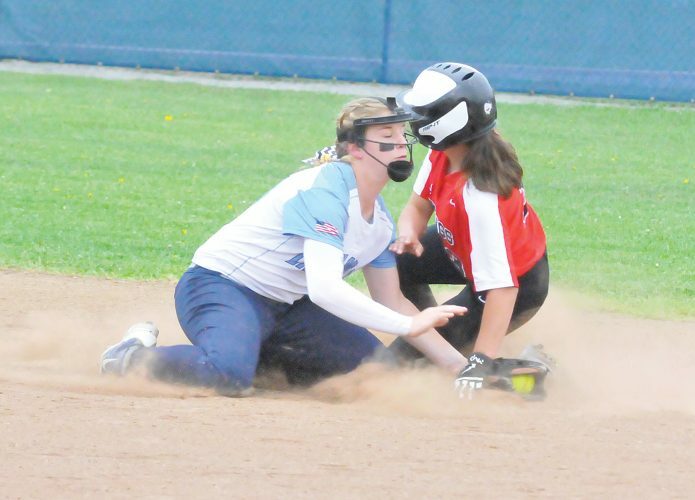 14 Ritchie County battles No. 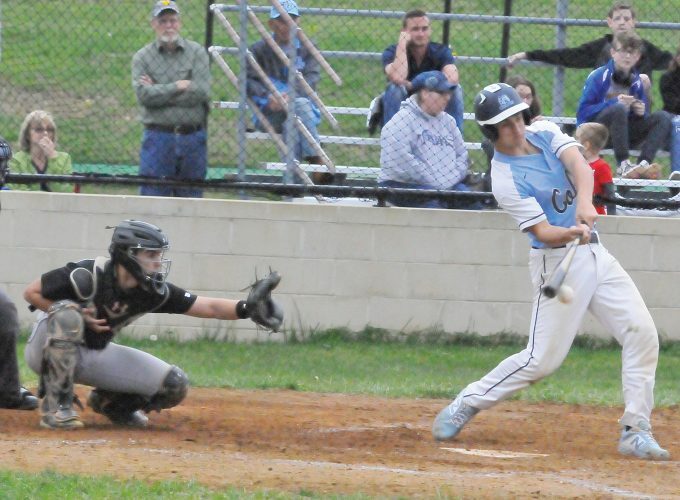 3 Mount View at Princeton High School and top-ranked Wheeling Central tangles with No. 16 Tyler Consolidated at Brooke High School. On Saturday, No. 5 Cameron hosts No. 12 Van and No. 6 Williamstown welcomes No. 11 Summers County. Pendleton County (8-2) has won five straight games heading into the postseason. 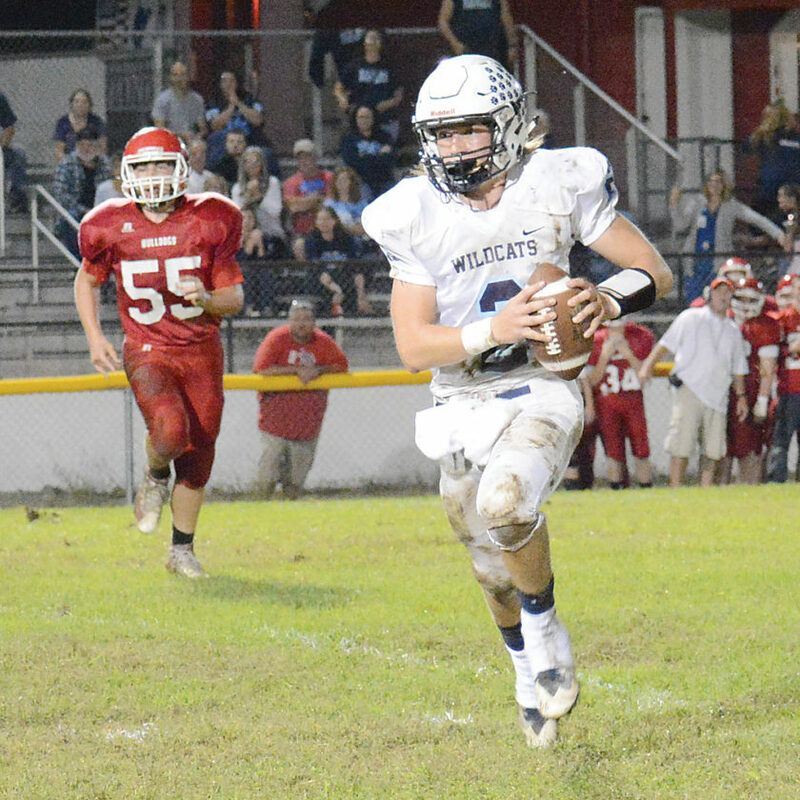 The Wildcats look to talented senior quarterback Kole Puffenberger and senior receivers Timothy Thorne and Joshua Wagoner. The running game is anchored by senior Dallas Sly and an experienced offensive front. The Blue Eagles (7-3) enter the game with momentum after upsetting Wheeling Central last week. Senior quarterback Pat Mirandy guides the Magnolia offense.